If you work in a restaurant, you know all too well that floors and counters fall victim to mistreatment and overuse during long, busy days. Counter and floor space are precious commodities and all too often they become the go to for quick and easy storage. 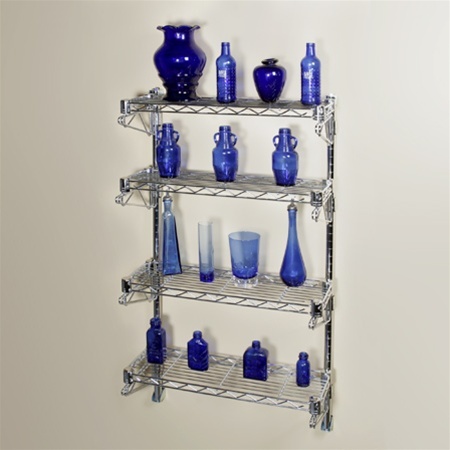 To minimize this occurrence and help you open up some space we’ve pulled together some of our favorite wall storage solutions. Liquor bottles aren’t too hard to look at so they’re perfect for storing on the wall in full view of your restaurant. 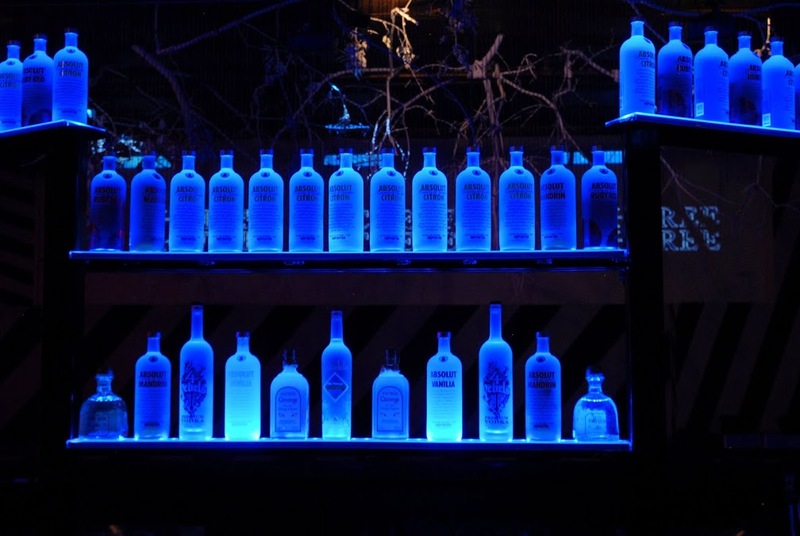 Try using LED lighted ones like these to amp up your bar area even more. Wine is another common restaurant item that can be stored in plain view without sacrificing aesthetics. Counters often fall prey to the little things that have nowhere else to go. 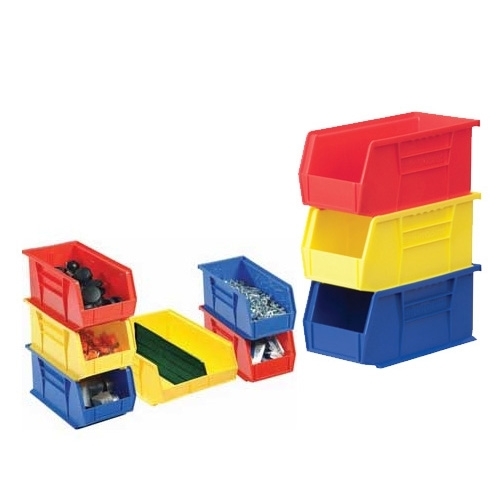 Use bins to accompany your wire shelving and get those little things out of the way. To make sure you never waste a moment looking for something, go ahead and add some labels while you’re at it. 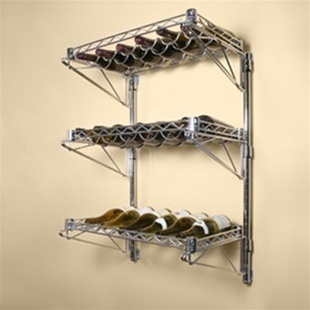 You can make the absolute most of dead space by keeping the floor clear and mounting some sturdy wire shelving on the wall. Can be used to store goods in the back of your restaurant or handsome decor in front. Pots and pans take up an incredible amount of space on your shelves. An impressive way to reduce this bulky clutter is to hang them on the wall. The result is not only a much more streamlined look but a quicker way to find just the pan you need. 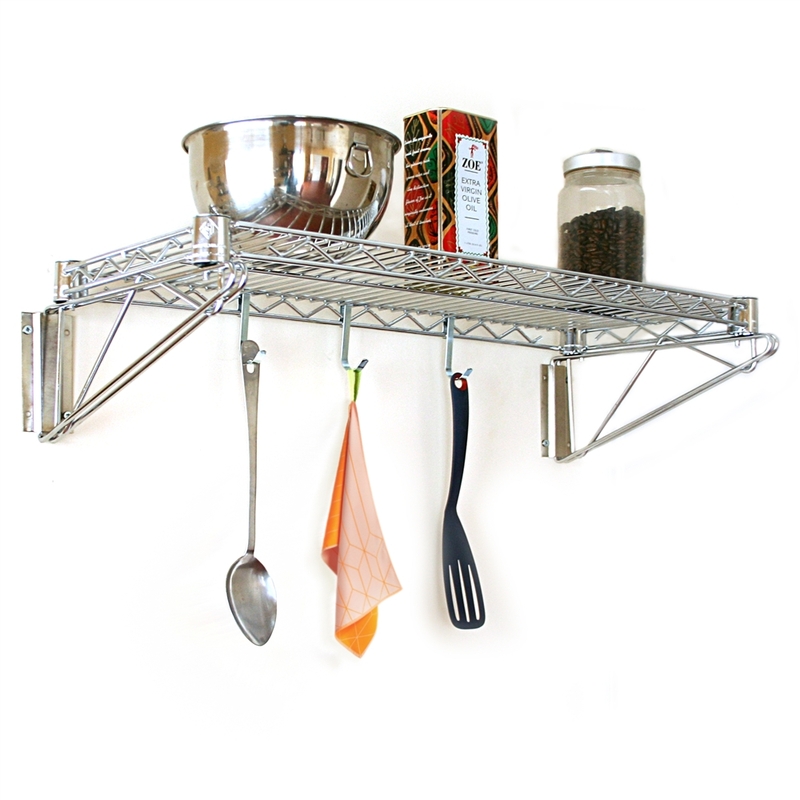 Tip: Use a rack with a shelf like this one to utilize the space even more.